PILEJE DERMOBIANE HAIR AND NAILS 40 CAPSULES: Strengthens hair and nails. 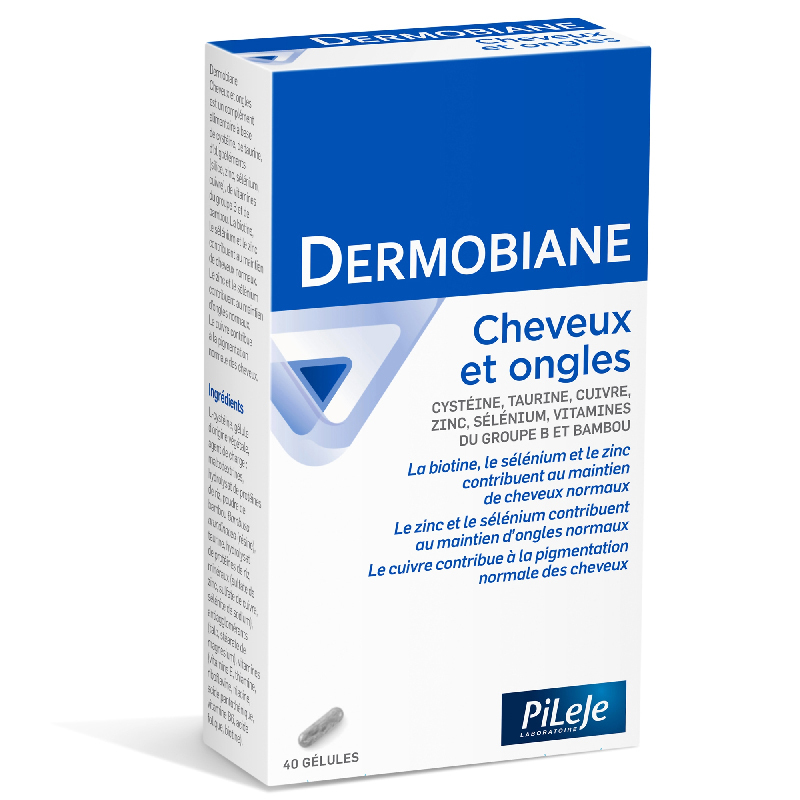 Dermobiane laboratory PiLeJe may be advisable to strengthen the core functions of the dermis and skin appendages (hair and nails). Dermobiane laboratory PiLeJe may be advisable to strengthen the core functions of the dermis and skin appendages (hair and nails). 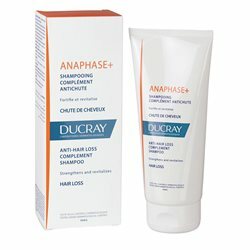 > Cysteine, an amino suffers on keratin which is the major component of hair and nails acid. > Taurine, to improve the bioavailability of cysteine. Dermobiane laboratory PiLeJe may be advisable to strengthen the core functions of the dermis and skin appendages (hair & nails). Do not exceed the recommended daily dose. Keep out of reach of children. This dietary supplement can not replace a varied, balanced diet and a healthy lifestyle. L-cysteine, vegetable capsule (lubricant), maltodextrins, natural extract of bamboo (Bambusa vulgaris), taurine, hydrolysed rice protein, minerals (zinc sulfate, copper sulfate, sodium selenite), vitamins (E , B1, B2, niacin, pantothenic acid, vitamin B6, folic acid, biotin), anti-caking agents: talc, magnesium stearate, hydrated silica. The PiLeJe laboratory has chosen to move towards a health medicine , an individualized medicine , both preventive and complementary to conventional medicine. It is for these reasons that this laboratory has developed formulas of food supplements Micronutrition . It is a complete and natural approach that aims to complement curative medicine with preventive medicine. It is based on the fact that the disorders and pathologies that may arise are, at least in part, linked to the existence of nutritional deficits or imbalances in micronutrients. A pioneer in the study of probiotics, the PiLeJe laboratory has been conducting and publishing for years multiple experiments on probiotic strains, whether on their resistance to different physicochemical conditions (viability, resistance to different media for example) or their impact. health, and thus contributes to advancing scientific research in this area. Restoring these deficits or imbalances can help prevent the onset of disorders or, if the disease is already in place, improve the effectiveness of drug therapy. Conventional medicine is essentially centered on a curative approach . It takes care of the disease when it occurs but is generally ill-adapted to prevention. In fact, a classic medical treatment aims, in most cases, to correct a declared pathology. But it does not always allow to act on the origin of the disorder. Hence its limits. The PiLeJe laboratory has chosen to move towards a Health Medicine, individualized, both preventive and complementary to conventional medicine . Individualized micronutrition PiLeje is a preventive approach to disorders and dysfunctions of the body and allows a complementary charge to conventional medicine by mitigating certain adverse effects of treatments or by potentiating the action. The PiLeJe laboratory controls the entire sector of its phytotherapy health solutions. Since the selection of the plant species (more than 2000 species exist for some plants! 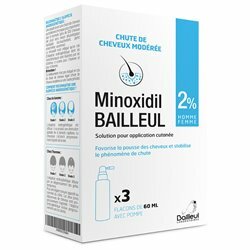 ), Through the choice of crop conditions to the design of the finished product (adapted galenic, packaging). Since 1998, PiLeJe has used the fresh plant for the realization of its health solutions and manufactures itself the extract from this plant according to a particular process. For more information, do not hesitate to ask our naturopaths advice on our secure form. Pileje Food Supplement: Discover the best of Pileje micro-nutrients: probiotics, vitamins and trace elements, essential amino acids, essential polyunsaturated fatty acids of food supplements pileje . Our body is not able to make these vital molecules called micronutrients, they must be provided by the diet or through supplements and dietary supplements. Available for all europe and the world (belgium included). As a reminder, Micronutrition studies the impact of micronutrients (vitamins, minerals, trace elements, essential fatty acids, ...) on health, assesses deficits and looks for ways to optimize the micronutritional status of individuals. accompanying the treatment of certain pathologies , in order to improve the quality of life . Our team of experts in natural health advice , trained in Micronutrition for more than 10 years, can provide you with dietary advice (personalized dietary advice) and recommend if necessary complementation adapted to the needs of each. What are the three major areas of action for micronutrition?